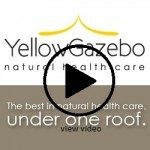 Our objectives at Yellow Gazebo Natural Health Care are pursued using Our Vision and Our Mission statements. We believe that simply opening our doors and providing good service is not enough - we better serve the community by aiming to be the main resource for them when it comes to natural medicine. This then puts the pressure on us to constantly excel at what we do, to not just be good but rather to pave the way for other clinics to follow, so that you the community can get the care you need most. Our Vision is to become the main centre for natural medicine in the St. Clair West community. We aim to be a resource, a guide, and a meeting place for people looking to relax, heal, and feel better using the most appropriate means of natural health care. Each and every patient we see is a new opportunity to have a profound impact on someone's life. You might come to us for a simple relaxation massage, and yet we want you to feel transformed by the care you receive, the ambiance you enjoy, and the support you feel the entire time you're with us, and even beyond. And if you come to us for car accident injury rehab, or other more serious concerns, we more than ever want you to feel nurtured and cared for by us, so that you can get back to living the life you desire. 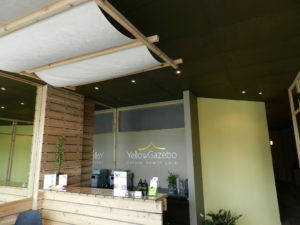 Our Mission at Yellow Gazebo is to inspire and nurture people - by supporting their health naturally. Contact us for a FREE consultation on how acupuncture, massage therapy, or another natural medicine can help you.